Philip Warwick, the only son of Thomas Warwick, the organist at Westminster Abbey and Elizabeth Somerville Warwick, was born on 24th December, 1609. He was educated at Eton College and probably attended Cambridge University before he spent time travelling in France and Switzerland. 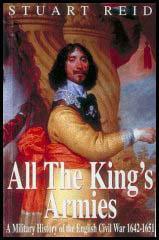 Sir Philip Warwick died on 15th January 1683. In 1640 Warwick was elected to sit for both Radnor borough and New Romney, Kent, in the Long Parliament, and chose to serve for the former.... He fought as a volunteer at Edgehill, and in 1643 he acted as the king's emissary in two unsuccessful attempts to persuade the earl of Newcastle to bring his army southwards. In January 1644 he was among those who assembled at the Oxford parliament, whereupon he was deprived of his seat at Westminster on 5 February. At Oxford he lodged in rooms at University College, and he later helped to negotiate the terms of the city's surrender in June 1646. 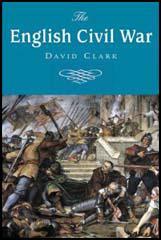 (2) Sir Philip Warwick, made these comments on Oliver Cromwell in 1640. He wore... a plain cloth-suit, which seemed to have been made by a poor tailor; his shirt was plain, and not very clean; and I remember a speck or two of blood upon his collar... his face was swollen and red, his voice sharp and untunable, and his speech full of passion.